I whizzed past this church but noticed the road side sign which says; ‘St. 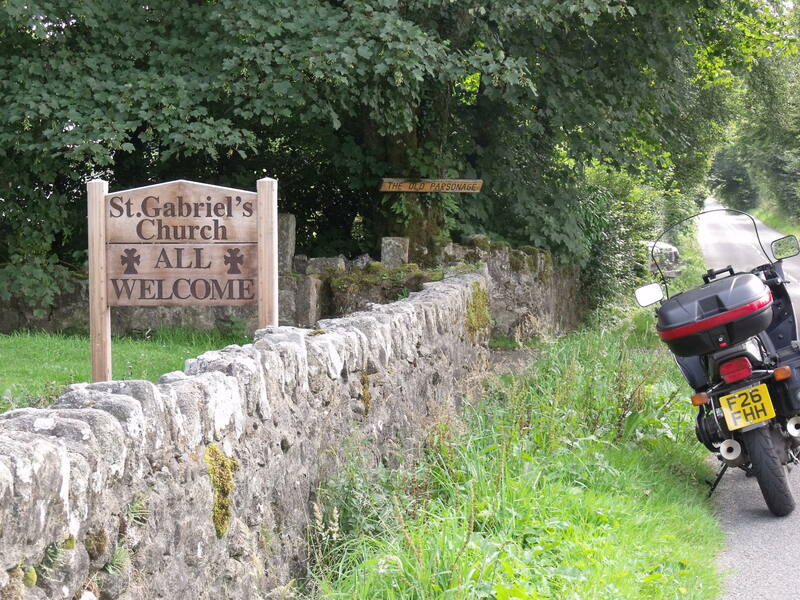 Gabriels Church all welcome.’ Turning round I went to see if this was in fact the case. I am pleased to report that it is! It is open and inside is a simple, well loved building. 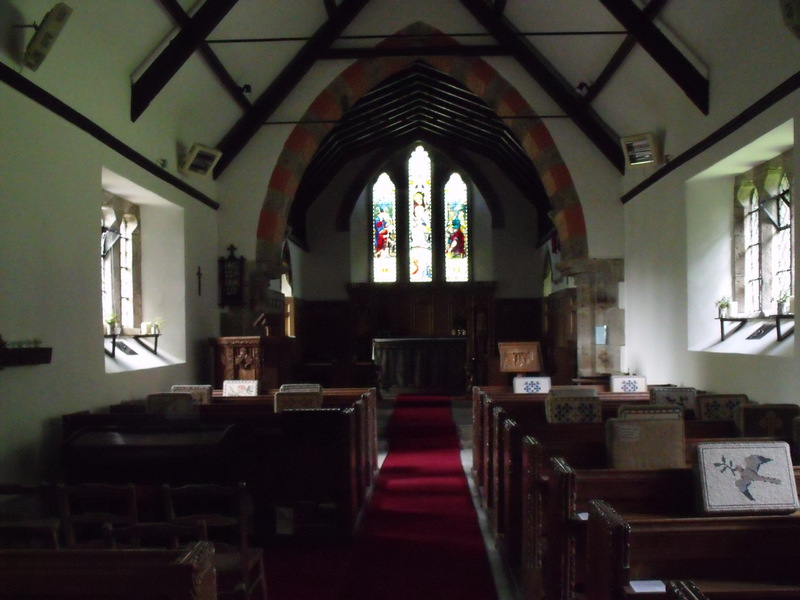 Being a Devon church it has lots of wood carvings. These were done by a Miss Pinwell, daughter of a former vicar. 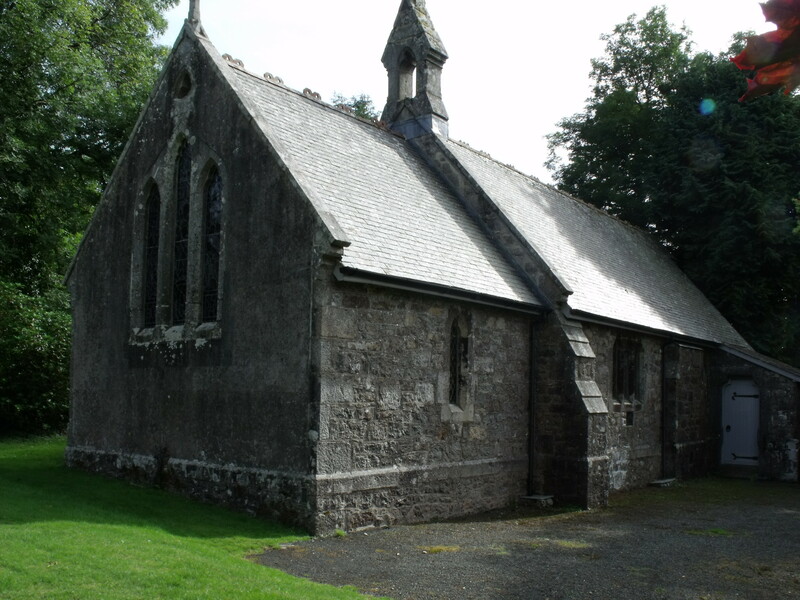 There is a simple guide sheet which explains how St. Gabriel’s was once the village school and church but, after the school closed in 1934, it was just used as the church. There is a pilgrim’s prayer on the wall. The church features bright kneelers each of these records it’s maker on the back. A lovely idea. There is a copy of the original licence to build the church framed on the wall. The flowers are arranged in tin cans – perhaps these had been for a wedding? Anyway they add a homely touch to this simple church. 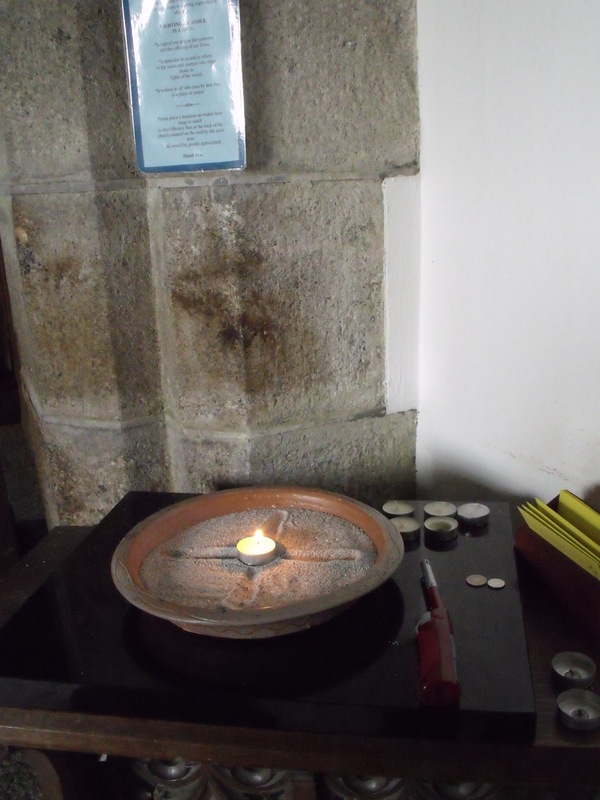 There is a sand dish for votive candles – something any church could do if they can’t run to a votive stand. All very simple but all delightful. One of the joys of this study has been the discovery of churches like St. Gabriel’s. It is never going to make it into a 1000 best churches book but it is well loved, well used, and deserves a visit. A lovely place to be quiet and to pray. Go and have a look! I rate it as good.